HARRISON, New Jersey, July 15, 2010 (AFP) - There were no bursts of confetti or squealing fans, but Major League Soccer hope French striker Thierry Henry's official arrival will provide at least as big a boost as that of David Beckham. "I'm thrilled to be here," Henry said on Thursday as the New York Red Bulls officially introduced him at a press conference at the Red Bulls Arena. "Everybody knows I love the city, but I'm here to win. That is the most important thing. I am a competitor." Asked to assess where he is as a player, in the wake of his release from Barcelona and his limited role in France's disastrous World Cup campaign, the 32-year-old opted to focus on the future. "Right here with the New York Red Bulls trying to win a title," he said. Henry's move garnered plenty of attention. New York media turned out in force and MLS commissioner Don Garber was also in attendance on Thursday. But there was little of the Hollywood glitz that greeted Beckham's July 2007 arrival at the LA Galaxy, who introduced their new star before thousands of fans in an on-pitch ceremony complete with fireworks. Beckham's stint with the Galaxy has been something of a mixed bag as he battled injury and attempted to keep his England international career alive. It's one thing Henry won't have to worry about, after announcing earlier on Thursday that he was retiring from international football. 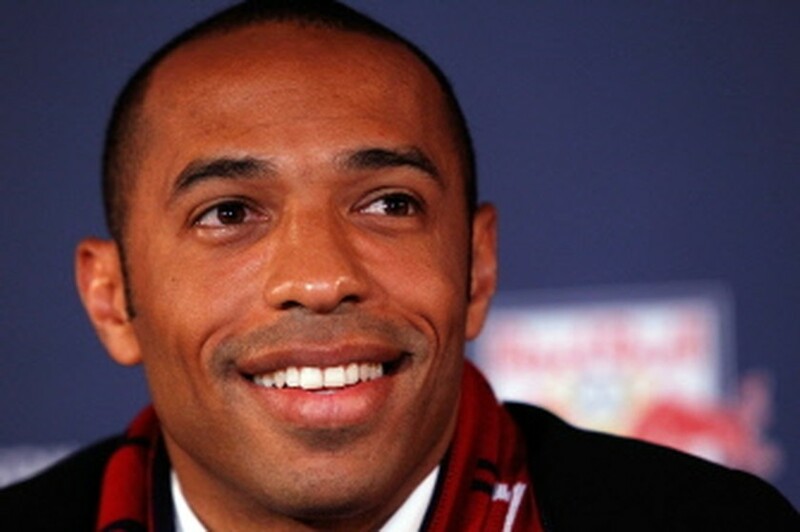 And Henry said he didn't believe his MLS impact should be measured against that of the England midfielder. "We're (both) here to make football better," he said. Nonetheless, Henry is an eminently marketable commodity for the MLS, who are always seeking to expand football's reach in America. His introductory press conference was streamed live on the team's website, which also displayed his first photo-shoot in team kit. The Red Bulls say they're more concerned with what he can deliver on the pitch, and that the publicity is just a bonus. "I think it’s just positive that we get as much publicity as possible," Red Bulls coach Hans Backe said. "It’s positive for Red Bull, it is positive for Major League Soccer to get that type of player. So there’s no disruption at all, it’s only positive."